Average 3.5 / 5 out of 18 total votes. Empire of the Ring is a Korean modern fantasy epic adventure novel that sets in the nations of the Caucasus mountain range which separates Europe and Asia. The nations of Caucasus are regions of many conflicts over territories, ethnicities, and religions. The story begins as Lee Youngho, a warm-hearted Korean merchandiser, takes a business trip to a disputed territory of the Caucasus nations to sell Korean unmanned security systems only to get misconstrued as a spy and caught by Armenian militia. Youngho eventually gets involved with the militia and CIA to help out people of the regions from conflicts and works toward a birth of a new empire in Caucasus. 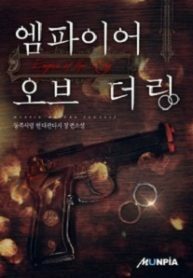 You’re reading Korean web Novel “Empire of the Ring” on BOXNOVEL. We will have 760 Chapters (Ongoing). Thanks!